Valentines Day “Hashtag Conversation Heart” Cookie set, by Sugared Hearts Bakery, $20. Visit their Etsy store for cookies for all types of events, they are beautiful as well as delicious! Tory Burch Logo Heart Key Fob, available at http://www.toryburch.com, $55. COACH Corner Zip Wristlet in heart print crossgrain leather, available at http://www.coach.com, $75. Under This Moon Bracelet by Gemagenta on Etsy, $30. This has to be one of the most creative and romantic gifts I’ve come across. The custom necklace or bracelet is made by hand to reflect the moon phase of any date you desire, even past dates. How cool is that?? BAN.DO Assorted Pen Set, a great gift for your kids, available at http://www.shopbando.com, $14. 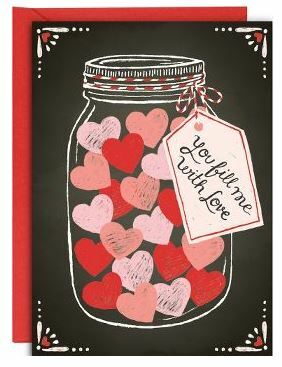 Browse their website for many other affordable cute gifts for Valentine’s. Alex and Ani Key to My Heart Charm Bangle, available at http://www.alexandani.com, $28. Also sold at Nordstrom, Bloomingdales, Lord & Taylor, Dillard’s, and various local jewelry stores. I love these bracelets and my daughter loves to wear many of them at once. Browse their website for all types of collections. Hey Handsome Shaving Kit Bag for the man in your life, available at http://www.owenandfred.com, $68. Available in various colors. This is a great website offering many gifts for men. A Big Kiss His & Her Pillowcases, available at http://www.gifts.com, $36. Does it get any cuter than this?? The New Disney Jewelry Collection by Pandora. This is perfect for the Disney lover in your life (I know a few of those). Available anywhere Pandora is sold or at http://www.pandora.net, prices for charms range from $45-$80. Milktape, a company that makes modern day mixed tapes using cassette tape-shaped USBs complete with cover and plastic case, so you can make it extra personal. Each tape holds about 15 songs (128 MB) and can be used with PC or Mac. I know this brings back a lot of memories from my youth. Available at http://www.milktape.com, $15. Petite Heart Cocotte by Le Creuset, for the chef in your life, available at http://www.lecreuset.com, $25. Comes in various colors if you’re not into pink. Heart Audio Headset Splitter, for just about anyone on your list, available at http://www.accessorygeeks.com or http://www.amazon.com, $8. And if you prefer not to spend money on gifts, then there’s always that special card like this one available at http://www.papersource.com. Have you thought about Valentine’s Day yet? And if so, what would you like to gift or receive? « You’re Just A Mom? Oh yes, we are getting ready for Valentine’s day in no time. These are definitely wonderful ideas to surprise the loved ones with. Love that heart key & the new disney jewelry collection so much. These are all great gift ideas. My favorite is the Milktape. My kids would love it. I would have to agree. I was thinking how much fun I had making mix tapes and cds when I was younger. Kids today have no idea what they are missing. What cute options. Coach is my favorite – I have not seen this one before! I see all the the excitement over Pandora. They’re cute but I don’t usually get it. Here, I get it! I love that bracelet!! I adore those pillowcases! I wish my husband would snag me that Coach wristlet. So adorable! I love this list! That Milktape USB is adorable! I’m really loving that Petite Heart Cocotte by Le Creuset! Great gift ideas! These are really cute gift ideas! I would love the wristlet. I really love the bracelet. I am going to show my husband this. I just love the heart shaped Lee Crueset dish. It is so adorable. I also love the coach bags. great gift ideas! Thanks for sharing! It’s almost valentine’s day and I’m not even close to readyy! Yikes! Those pens, SWOON! As a teacher, I’m pen obsessed! I love your picks! You have such a great eye. Love the coach wristlet and that cassette USB is great!! Aww! Great list! I love it and think it works well within many’s budget. Thank you! Great bunch of surprises! I am a total cookie junkie on Valentine’s Day. Those are awesome! Awe – my favorite thing posted here is the A Big Kiss His & Her Pillowcases. This is toooo cute. I know that I am planning on making my sweetie’s favorite pie for Valentine’s Day. Great ideas for gifts! I love the little pink purse! These are all super cute ideas! Love them. That tape is quite adorable. 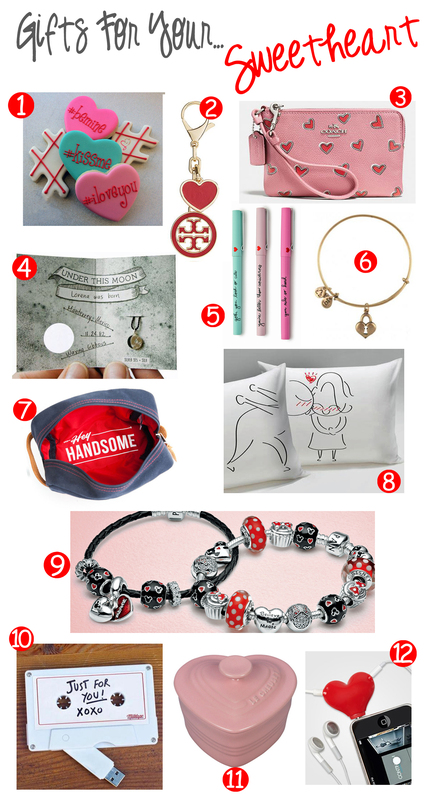 These are awesome picks for Vday! I am obsessed with those pens! Bando has the best products. I love all their cute accessories.